Starting with the pressed black tea tiles, which have been shipped from China for some 300 years now can be found at the little shop for re-enactors Smoke & Fire for $23.00 each (large) and $2.50 (tiny). Beautifully embossed with a traditional, ornate design one would be hard pressed to actually steep it (sorry, for the pun). 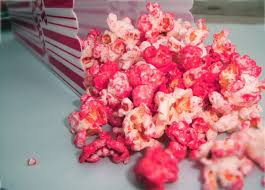 This would make such a unique and talked about hostess or housewarming gift and do not worry, brewing instructions are included. The other find is a chest to hold and give some pretty tasty teas. This helps to fulfill the wish to give a gift where the packaging and presentation is totally reusable. These boxes come in so many shapes, sizes, woods and forms of ornamentation not to mention price ranges. Most of the major tea brands have started creating them once again so look up your favorite tea's website to see if they offer one as well. Best of all once the tea is gone they make fantastic keepsake boxes for jewelry, beads, small trinkets and so on. 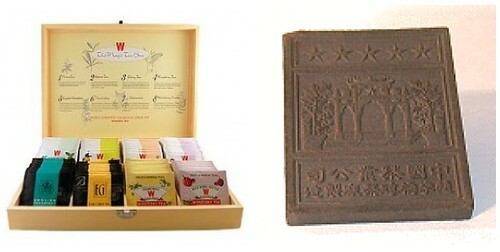 Check out the Wissotzky Magic Tea Chest which looks perfectly colonial and a nice counterpart to the above tea tiles.